Know what you want from your dog, but not sure how to get it? Absolute beginner, and no idea where to start? Here are four books, each a stand-alone book - but great as a set - which will get you going fast in the right direction. In each book I take you by the hand - and don't let go till you've achieved success! Through years of experience teaching small classes of family dog owners with their new puppies or dogs, my students have taught me how best to give them what they need in the most pain-free way possible. Naturally everything is pain-free for the dog, as there's no force or coercion used - indeed the dogs see it as one big game! But it needs to be easy for you, the owner, to assimilate as well. We're all about quick results nowadays, and quick results are what you'll get with this clear and simple system. So, in addition to step-by-step guides through all the Lessons, there are Watchpoints and Troubleshooting sections too, to deal with all the "what if's" that may come up as you work through the book. It can be so frustrating when a book tells you to get your dog to do something and your dog simply doesn't do it: now what do you do?! So everything you or your dog are not getting quite right is addressed in the Troubleshooting. I hang onto that hand of yours! And if you want to try before you buy - Kindle and Nook offer you a look inside the book, so you can see just what you're getting. By the way, you don't need a special device for reading these books. There are free apps you can use on any device. And they are all available in paperback too! Instead of saying “This is what you do,” then leaving you to it, Beverley takes you by the hand and troubleshoots all the games so that you can get them absolutely right. And the joy is that this is all achieved without shouting, force, or intimidation. Just pure undiluted fun! This first book in the series of Essential Skills for a Brilliant Family Dog introduces you to the concepts of how to get what you want from your dog, and then sends him off to sleep for you. And the best news? This book is free at all e-book stores! - without having to mount an armed guard to protect it all from your family dog. 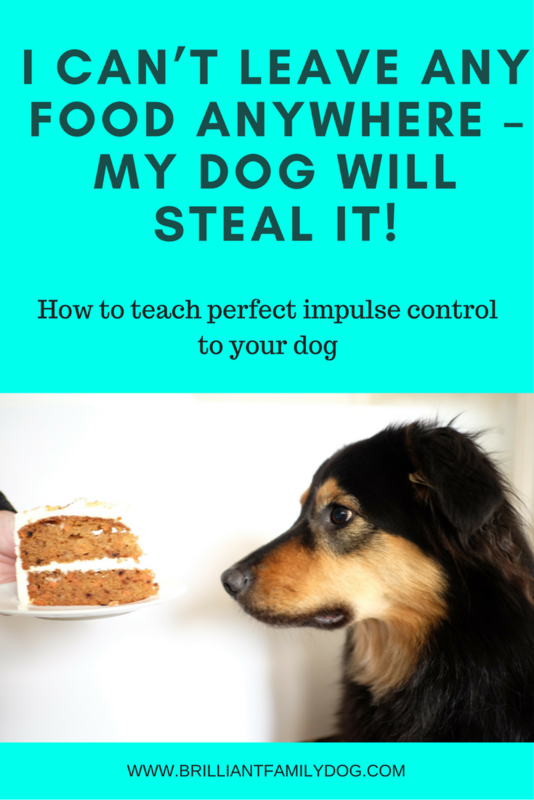 This book will take you step-by-step through some simple and surprising games which will turn your thieving rascal into a saintly pooch who can be trusted with cakes on the coffee table, dinner on the counter, biscuits in the children’s hands - and who will confine his chewing to the things you give him to chew. Find the answers in this second book in the series of Essential Skills for a Brilliant Family Dog. reach the Holy Grail of dog ownership: walking nicely on the lead! In this unusual book, Beverley will show you step-by-step the secrets of walking your dog without needing rollerskates. The Troubleshooting “What if?” sections cover all your questions, and down-to-earth advice is given to help you and your dog learn a new way of enjoying walks together. Find out how in this third book in the series of Essential Skills for a Brilliant Family Dog. This book unravels the mysteries of getting your dog to fly back to you – whatever else may be happening! How good will you feel when people watch in astonishment as your dog leaves balls, other dogs, and rabbits to shoot back to you? Find the secrets to a stunning recall in this fourth book in the series of Essential Skills for a Brilliant Family Dog. If you like, you can get all four books onto your e-reader of choice at once! Click here for the complete set of books to help your Growly - reactive, fearful, anxious, or aggressive - dog. You don't need a special device to read an e-book. If you can read this on your gadget, you can read an e-book! If you have an Apple product you already have iBooks installed. If you prefer you can use the free Kindle app. Just click the download link, and choose your e-book store and country.